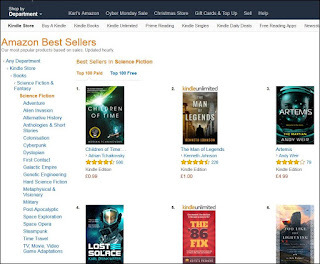 Amazon - just after Artemis by the awesome Andy Weir! Top ten in at least three categories. According to my Amazon dashboard, Lost Solace got to #161 overall out of millions of e-books in the UK store. The recent Amazon ratings were probably down to a mixture of factors. A new book, in a genre with voracious readers (quality action/suspense sci-fi). Another exciting high-profile book was released at the same time by pure chance with a similar cover (Artemis by Andy Weir). 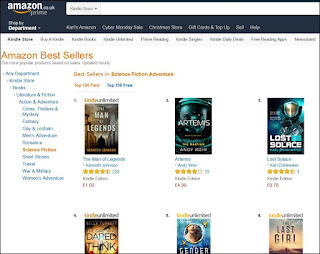 Lost Solace was at the promotional price of $0.99 for a week, even though it is new. A few authors and sci-fi fans mentioned the promo in their newsletters. I received excellent early reviews on high-profile sites and from a few book bloggers. And probably the biggest boost: I got my second Bookbub featured deal for 28th November. This one was international-only, so excluded the US, which is why I did well in the UK rankings but didn’t see such a spectacular shift in the US. 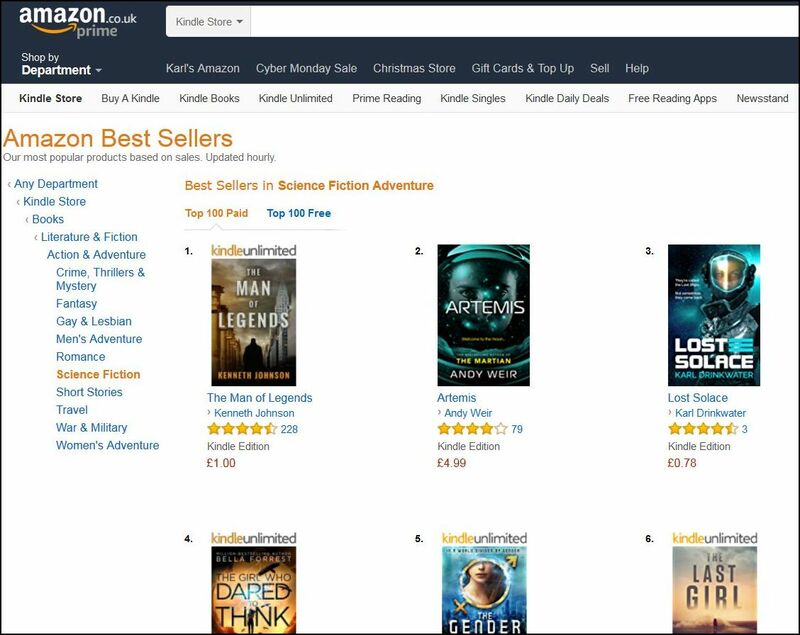 In my last promo I got my Horror Collection to #1 in the UK horror charts. Lost Solace will get a sequel, due in 2018.